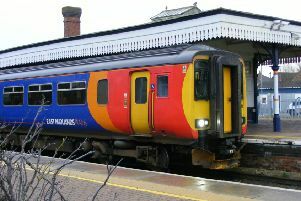 There is major disruption on trains going through Peterborough, Stamford and Grantham today Friday, August 21. Engineers are currently carrying out repairs to overhead lines on this stretch of the East Coast Main Line, but services are expected to be disrupted or cancelled throughout rush hour. Trains between Spalding and Peterborough will be delayed by up to 20 minutes. Trains between Grantham and Peterborough may be delayed by up to 90 minutes. Further repair work will take place tonight and a normal service is expected to resume tomorrow. If your journey plans are flexible, Virgin Trains East Coast advise passengers to travel tomorrow if possible. Tickets dated for travel today will be accepted. Customers severely delayed on Virgin East Coast Trains may be able to claim compensation. Great Northern services between Peterborough and London Kings Cross. Latest rail delay information at .nationalrail.co.uk.